Tasteful red and white single ended spray. 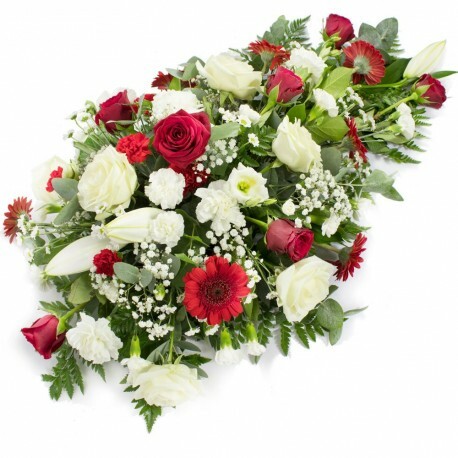 A beautiful funeral tribute including red and white choice flowers. Available in other colours. 3ft €100/ 4ft €125 / 5ft €155.